Mr. Pat Sweeney, Director of Energy & Market Operations for Austin Energy, will join us this January to mark the two year anniversary of operation of the 30MW Webberville PV power plant. What have we learned by integrating that facility into the city’s portfolio of power production? How are near zero marginal cost energy sources best deployed into the ERCOT wholesale market? What operational highs and lows have occurred? 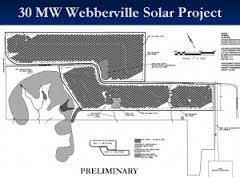 Join us to hear all about how Webberville, which remains the single largest PV power facility in TX (380 acres, over 127K panels), is serving Austin and what lessons are being applied to recent and future utility scale solar RFPs from the city. When: Wednesday, January 22nd, 5:30 – 8:00 p.m.
Business leaders, environmentalists and low income advocates are behind a push to get Austin to increase its solar energy goal to 400 megawatts by 2020 and expand solar programs to meet that goal. A diverse group of community leaders appointed to the Local Solar Advisory Committee (LSAC) by City Council examined solar opportunities in Austin and unanimously recommended that we double our 2020 solar goal, creating an estimated $300 million in net economic benefits and staying well within our current affordability goals. 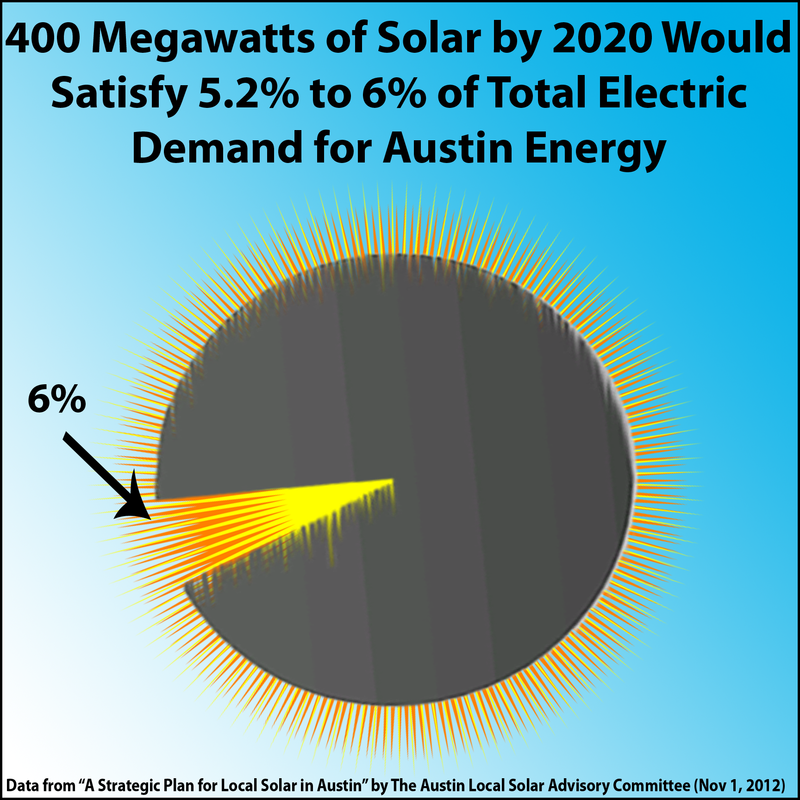 The LSAC report shows that expanding the solar goal to 400 MW by 2020 – which would meet 5.2-6% of Austin Energy’s electric demand – would be affordable. Current affordability limits are set at 2% of anticipated utility revenue and the solar program would never go beyond 0.31% – likely less, according to the LSAC report and would reduce costs by 2020. The affordable nature of the plan is what got low income advocates to support it. Instead of embracing the recommendations, Austin Energy has proposed a 42% cut to its solar rebate program for fiscal year 2014, from $7.3 million to $4.2 million. Supporters of the LSAC recommendations are asking City Council to move in the opposite direction and expand the solar budget to $10 million dollars. 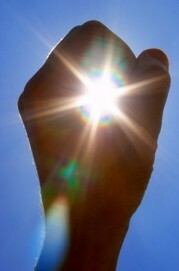 We need a solar budget large enough to meet demand. This year, Austin Energy reduced the solar rebate to avoid running out of money before the year was over. Solar is becoming more popular and we should take advantage of that. 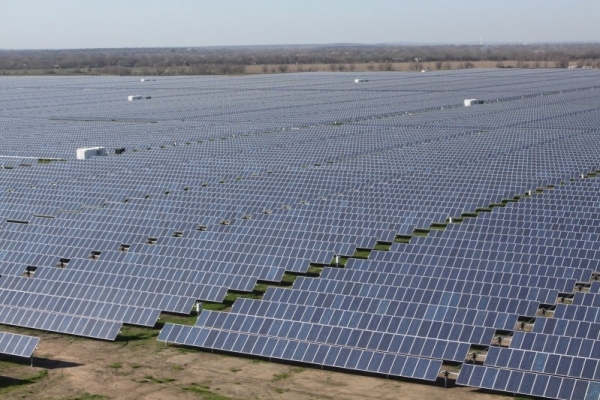 While the LSAC did envision an eventual reduction and end to solar rebates, the Committee recommended investing more now to establish the industry in Austin and take advantage of a 30% federal tax credit for solar installations. The solar industry has already created hundreds of jobs in Austin, many of them in installation. Solar installation companies are small, locally owned business and the jobs they create can’t be outsourced.